Perfect for general purposes, ungraded timber from Boys & Boden can be shaped and treated to your unique needs. 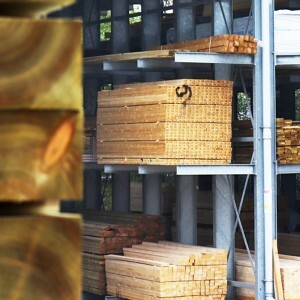 Ungraded timber is not recommended for structural purposes, for that you will require timber grades C16 and C24, both of which are also available from Boys & Boden. The key benefits of ungraded timber are how adaptable it is, and how affordable it is. This means it is a great choice for landscaping and fencing, where quantity is necessary. In any Boys & Boden branch you can find services that include cutting, machining and cross cutting; meeting the precise requirements of your next project. Boys & Boden are also FSC chain of custody certified (FSC-C018393), meaning that much of their timber comes from responsibly managed forests. Look for the FSC logo on products for eco-friendly options.